Before the festive, jolly season comes to an end there are plenty of shows occurring around Chicago to enjoy. Whether you are in the mood for music or dance, drama or comedy, we have got you covered. We have put together a list of yuletide shows that guaranteed to boost your holiday spirit. 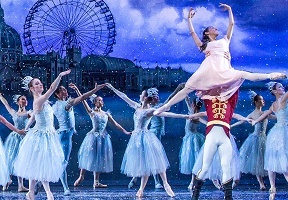 Set during Chicago’s 1893 World’s Fair, The Nutcracker opens as young Marie and her mother, a sculptress creating the Fair’s iconic Statue of the Republic, host a festive Christmas Eve celebration. The Nutcracker features Tchaikovsky’s classic score performed live by The Chicago Philharmonic. Get your tickets at www.joffrey.org/nutcracker. 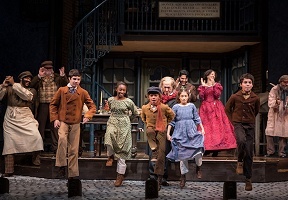 The Goodman Theatre, 170 N. Dearborn St.
Dickens’ holiday classic is the iconic tale of greedy businessman Ebenezer Scrooge, whose sizable bank account is only matched by his disdain for the holidays. One Christmas Eve, Scrooge is visited by four ghosts who take him on a spectacular adventure through his past, present and future, helping him rediscover the joys of life, love and friendship. For tickets, visit www.goodmantheatre.org. Emerald City Theatre, 2933 N. Southport Ave. The Yard at Shakespeare Theater, 800 E. Grand Ave. The holiday treat set to a bangin’ beat is back! Chicago hip-hop sensations, the Q Brothers Collective, turn up the volume on Charles Dickens’ beloved tale, mixing everything from reggae, dancehall, and dubstep to epic rock ballads. 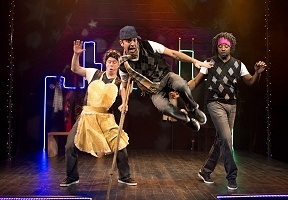 For more information, visit www.chicagoshakes.com. Swing by Stage 773 this month and next to see your favorite Christmas movie come to life. 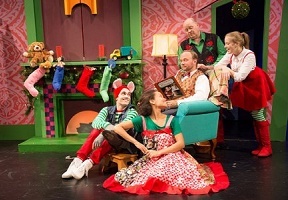 With a performance by the American Blues Ensemble, an amazing cast, all your favorite holiday songs, and a serving of milk and cookies, this show epitomizes the holiday spirit. 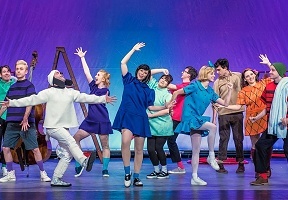 For more information, www.stage773.com. 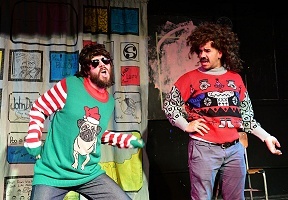 Neo-Futurist Theater, 5153 N. Ashland Ave.
Barrel of Monkeys celebrates the season with THAT’S WEIRD, GRANDMA Rings in the Holidays, directed by Artistic Director Brandon Cloyd, playing Mondays at 8 pm (plus special weekend performances) through December 22, 2018 at the Neo-Futurist Theater. Tickets are currently available at www.barrelofmonkeys.org. Rosemont Theatre, 5400 N. River Rd.